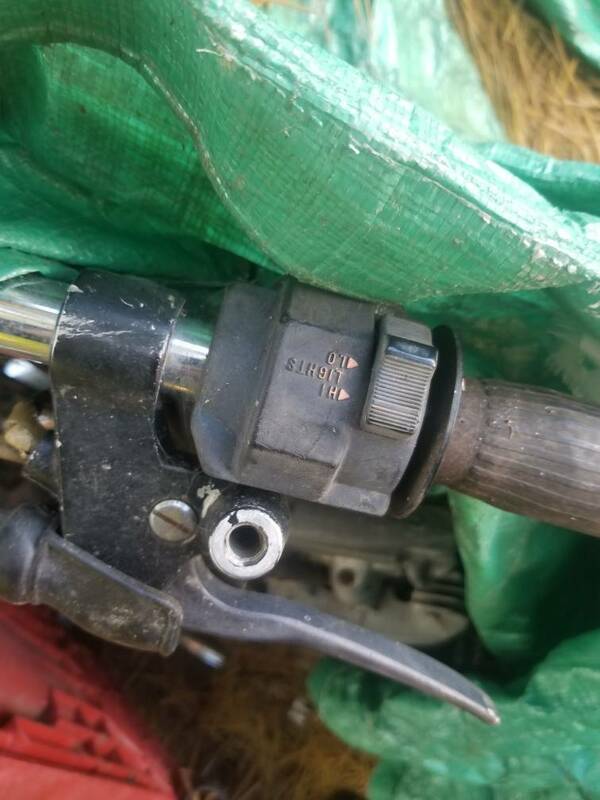 I am looking for a left hand high/low beam, blinker, horn assembly for my 1981 cb650 special, dose anyone have a link where i can get one? Ok, I did not look close at it, do the wires through the bars? Do you need the wiring, is it easy to remove it? It's pretty easy to get off. Three screws on the actual part itself and it comes off. The wiring is not inside the bars. It runs down the handlebar and plugs into the wiring harness inside the headlight bucket. You will need to remove the headlight to get to the plug. How much $ do you want for the compleat assembly? Sorry for the delay, I dont get much time for myself these days, 30 $ is fine, and yes i live in CT, how do we arrange payment? PayPal is good. I need a mailing address.